This article is designed to support photographers who are wanting to ‘move to mirrorless’ or invest in their first interchangeable lens camera. It will compare various systems that are available from different manufacturers to help readers make an informed choice. 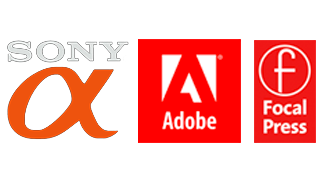 In the second half of this post it will then move on to support those photographers who have chosen to invest in a Sony A6000 series camera (including the A6300 and A6500 models). Cameras on smart phones, and old digital compact cameras, can be very restrictive for photographers who want to be very creative and explore a broader range of subjects to photograph, e.g. birds in the garden, wildlife on an African safari or majestic landscapes during twilight. If you are wanting to explore creative photography as a hobby then you have probably arrived at the decision to purchase a fixed lens superzoom (prosumer) or Interchangeable Lens Camera. The Interchangeable lens camera offers the greatest image quality and flexibility to choose from a range of specialised lenses. Your system can then be modified or grow to meet your own creative needs. Disclaimer: Before reading any further it is important to note that I am a Sony Global Imaging Ambassador. Although I have chosen Sony over other brands, and Sony have chosen me to showcase their products, I have written this article to offer advice that may be helpful for users to make their own considered choice about which camera and which manufacture to invest in. If you have not chosen Sony Mirrorless, or decide not to choose Sony Mirrorless, please do not vent your disapproval about my own personal choices. If you find a technical error in this article I will be more than happy to change it. The first choice when purchasing an Interchangeable Lens Camera (ILC) is to choose between a DSLR and a Mirrorless camera. DSLR cameras were always the choice of professional photographers until recently. Recent advances in technology over the last few years has allowed mirrorless cameras to match, or even better, the performance of traditional DSLR cameras. The main differences for the user now comes down to size and weight (mirrorless cameras are usually smaller and lighter than a traditional DSLR cameras) and the way we view our subject prior to capturing the image. A DSLR camera uses an optical viewfinder and Mirrorless cameras mostly use an electronic viewfinder or ‘EVF’. The optical viewfinder of the DSLR displays an image that may be different to the one that is actually captured by the sensor. To check that the image is correctly exposed and in sharp focus the DSLR user would usually have to review the image after it has been captured. The EVF and monitor of a mirrorless camera displays a ‘live view’ or a ‘what-you-see-is-what-you-get’ (WYSIWYG) image (similar to using the camera on our smart phones). If you have decided to purchase a mirrorless camera then the next decision comes down to choosing the size of the imaging sensor the camera uses inside (the most important component and the heart of the camera). This is an important decision as the lenses you purchase for this camera may not be suitable for a camera you purchase in the future if it has a different size of sensor. If you are thinking about ‘Moving to Mirrorless’ then you should be aware that most of your existing DSLR lenses can be used on a Sony Mirrorless camera. These can be attached to the camera via a ‘Lens Adapter’. This Lens Adapter will place the lens at the appropriate distance from the imaging sensor (taking up the space where the mirror of your DSLR used to be) and allow the lens to communicate with the camera body (passing on information about focal length and aperture and sometimes retaining the autofocus). For Sony DSLR and DSLT users you would look to purchasing an LA-EA4 or LA-EA3 lens adapter. For Canon and Nikon users you would look at adapters made by companies such as Metabones or Sigma’s MC-11 series of adapters. Some DSLR users may only decide to replace their older DSLR lenses with ‘native’ E-Mount lenses over a period of time – thereby easing the financial burden of ‘moving to mirrorless’. APS-C: This is larger than Micro Four Thirds and is the the most popular ‘crop sensor’ size. It is widely used by Canon, Nikon, Fuji and Sony. Full Frame: This sensor size is found in Nikon, Canon and Sony cameras but only Sony currently offer a full-frame mirrorless camera (A7 and A9 cameras). Medium Format: This sensor size is found in cameras made by Hasselblad, Phase One, Fuji and Pentax and the sensors are mostly made by Sony. These large and expensive cameras are mostly used by commercial photographers. Although offering outstanding image quality they are currently not very good at capturing fast moving subjects. Choosing an APS-C Mirrorless camera instead of a Micro Four Thirds or Full Frame mirrorless camera is appropriate if you don’t want to carry the additional weight of a full-frame camera system, but also want a camera with a larger sensor than Micro Four Thirds. Note > Premium quality Micro Four thirds cameras may not offer any saving in weight or size of the camera, but the long telephoto lenses that are available for these cameras can be considerably smaller than APS-C or Full frame long telephoto lenses – something to factor in if you are interested in photographing small or distant wildlife. Larger sensors, however, lead to increased image quality (especially at higher ISO values which are required when shooting in low ambient light without a flash or tripod) and also the ability to capture images with very shallow ‘depth of field’ (the ability of the camera to separate the subject from the background by rendering the background very blurry). In order for users of Micro Four Thirds cameras to match the shallow depth of field, possible by cameras with larger sensors, they would have to invest in larger, heavier and more expensive lenses with wider apertures from the Olympus or Lumix range. If you have decided to purchase a Mirrorless camera that uses an APS-C sensor (instead of a Micro Four Thirds or Full frame system) then you are probably looking at either the Fuji or Sony series of cameras as these two systems offer the greatest choice of both camera bodies and lenses. The premium quality Fuji mirrorless cameras (such as the Fuji X-T 2) are slightly bigger, heavier and more expensive than the equivalent Sony Mirrorless camera (A6500). Both cameras are at the cutting edge or APSC mirrorless technologies but in Sony’s favour are the superior Autofocus performance, In Body Image Stabilisation and ultra high frame rate when capturing movies. In Fuji’s favour is its USB 3 connection and slightly faster frames per second in Continuous Drive (14 frames as opposed to 11 frames per second). The Fuji APS-C lens lineup is also more extensive than the APS-C lenses currently offered by Sony APS-C. Fuji does not make a Full Frame mirrorless camera, so they have concentrated on creating an extensive range of APS-C lenses. Sony, on the other hand, design lenses for APS-C and Full Frame systems. Choosing Sony over Fuji does give the user the option of investing in a full frame camera later and using their existing lenses when they ‘trade up’ or choosing a Sony lens from their FE or Full Frame range (although these may be larger and more expensive than an equivalent Fuji APS-C lens). Choosing a Sony APS-C camera has a few advantages over choosing one of their full-frame camera. APS-C cameras are smaller, lighter, and cheaper than the full-frame cameras which share the same lens mount (E-Mount). The A6K range (A600, A6300 and A6500 cameras) have superior Phase Detect Autofocus (PDAF) and faster shooting bursts (frames per second) than the first generation of A7 cameras and also the A7SII and A7II cameras. This makes them a better choice for shooting subjects that are moving very quickly (children at play, sport or wildlife). The Sony A7RIII and A9 cameras also excel at this, but they cost more than double the price of the A6500 camera. 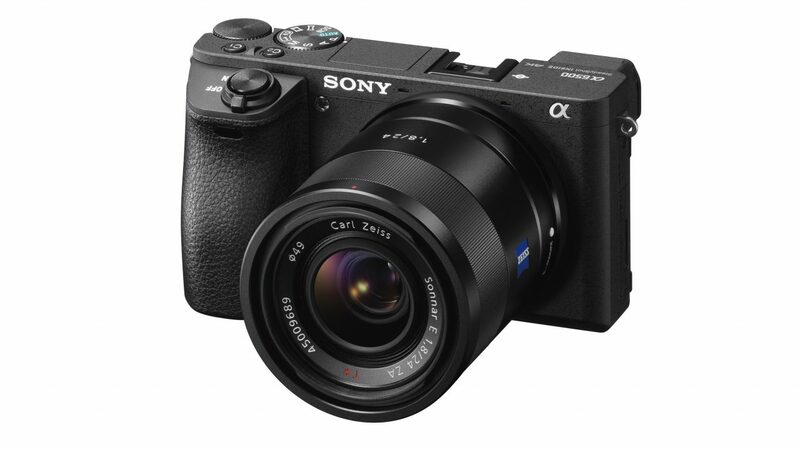 The Alpha A6500 camera is Sony’s premium ‘crop-sensor’ or ‘APS-C’ mirrorless camera. 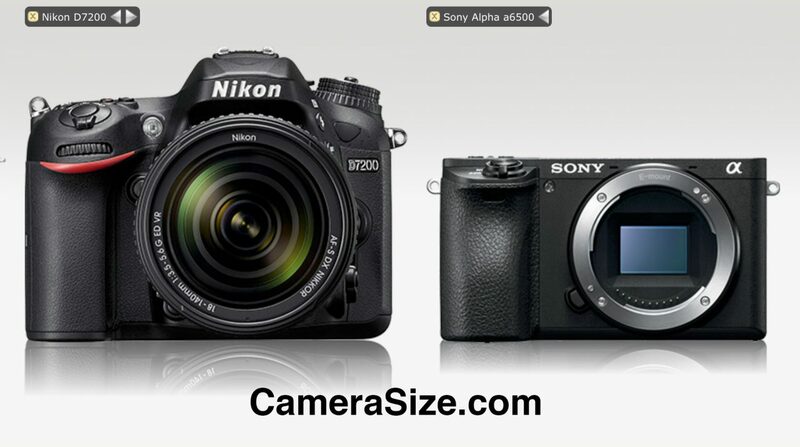 It is a lot smaller and lighter than the full-frame mirrorless cameras (A7 and A9 cameras). The APS-C cameras are also an ideal choice for someone who wants to reduce the size and weight of their camera bag. Not only are the APS-C camera bodies smaller than Full Frame camera bodies but also the APS-C lenses when compared to their Full frame Equivalents. The A6500 did not replace the A6000 or A6500 cameras – it represents the premium model in a range. The primary reasons you would choose the A6300 over the A6000 is its 4K movie capability and superior implementation of the Lock-On AF tracking (the camera’s ability to automatically track, and keep in focus, fast moving subjects). This is achieved by using a greater number, and larger spread, of AF points (something Sony call ‘4D focus’). The primary reasons you would choose the A6500 over the A6300 is its ‘In Body Image Stabilisation’ (IBIS or SteadyShot INSIDE) and its larger buffer so that you can shoot at 11 frames per second for extended periods of time. If you do not intend to shoot fast moving action or 4K movies then the A6000 offers the best value for money Sony mirrorless camera. The only negatives about choosing an 6K series camera over a full frame camera is the smaller range of E-Mount APS-C lenses and slightly lower image quality in low ambient light. Full Frame sensors provide superior image quality at higher ISO values and the high resolution A7R cameras provide the option for greater amounts of cropping in post-production. What happens if I decide to ‘upgrade’ to a Sony Full Frame camera in the future? If you own a Sony APS-C camera and decide to purchase a full frame camera in the future you can continue to use all of your existing lenses. The APS-C and Full frame cameras share the same lens mount or ‘E-Mount’. The imaging area produced by a lens specifically designed for a crop sensor will, however, not cover the larger sensor area of the full frame cameras. The Full Frame cameras will, however, automatically start shooting in APS-C mode to allow for this difference if an APS-C lens is being used. The down-side of this is that the megapixel count will drop as the camera will only by using the central part of its sensor. When using a 42.4 megapixel A7RII or A7RIII camera the resolution will drop to 18 megapixels (when using a crop or APS-C lens) and to 10 megapixels if using the 24 megapixel sensor found in the A7II and A9 cameras. Remember you only need just over 8 megapixels to cover a 4K screen. If you think that upgrading to full frame is ‘likely’ you can choose to purchase full-frame lenses for your APS-C camera. The movie above will introduce you to some of the additional lenses you could consider purchasing to increase the range or diversity of subjects you can take pictures of. It is also possible to use any of Sony’s Full Frame lenses on the APS-C camera bodies, although some of these full frame lenses may appear very large when mounted on the smaller APS-C cameras. This movie, however, introduces three of the smaller Full Frame lenses that could be considered. Sony uses a prefix or naming system to help customers determine what camera a lens has been designed for. SAL: These lenses are designed for Sony’s DSLR and DSLT A-Mount cameras. They can be attached to mirrorless cameras via a Lens adapter (LA-EA4 or LA-EA3). If using the A6300 or A6500 cameras with an SAM or SSM A-Mount lens the LA-EA3 is the preferred choice. FE: These lenses are designed for the Sony Full-Frame E-Mount camera but can be used on the APS-C E-Mount cameras. E: These lenses are designed for Sony’s APS-C E-Mount cameras and can be used on the Full Frame E-Mount camera without an adapter. The movie below introduces a lens that was not available when the movie above was made. This lens is an excellent choice if you are looking for a zoom lens with a greater range than the kit lens and with superior optical performance. This lens would represent a good choice for someone travelling who does not want to change the lens very often (if at all). I have created a series of movies that can be accessed on my Alpha Creative Skills YouTube channel or the Movies section of this website that are designed to support new users get the most out of their cameras. An example of this is highlighted below. If you are new to owning an interchangeable lens mirrorless camera the movie below is intended to help you build a basic kit of affordable accessories. Mark Galer is a Global Imaging Ambassador for Sony, an experienced educator and an Imaging Ambassador for Adobe. As well as public speaking he offers training in the form of creative workshops and one-on-one training. This entry was posted in Camera Settings, E-Mount Cameras and tagged A6000, A6300, A6500, camera, E-Mount, Mirrorless.